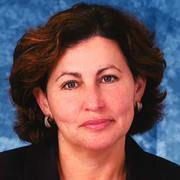 Sima Rotenberg has been a successful real estate broker for over twenty years and a consistent Top Producer. 2017 brings an exciting change to her real estate career as she joins the team at RE/MAX Advantage with offices in Marblehead, Beverly, Lynn, Salem, Peabody and Gloucester. Previously, Sima has served as Vice President at Coldwell Banker producing over ten million dollars in sales and more recently, she was consistently a Top Producer for Sagan REALTORS averaging 25 transactions per year. Having been a long-time resident of Swampscott, Sima is very involved in the North Shore community where she is a member of the Jewish Community Center and the North Shore Board of Realtors. Although the North Shore is where Sima hangs her hat, she is well versed in all aspects of real estate throughout the state of Massachusetts and is ready and willing to help you buy or sell in all areas of the Commonwealth. Sima is fluent in the Russian language gaining loyalty and repeat business from her many Russian clients and customers. Let her put her knowledge, experience and commitment to work for you to help you find or sell your home easily and successfully.